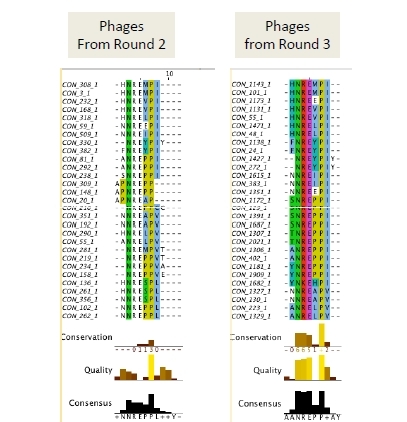 We routinely use random peptide phage display library biopanning for mapping epitopes of monoclonal and polyclonal antibodies. Our workflow is demonstrated below. 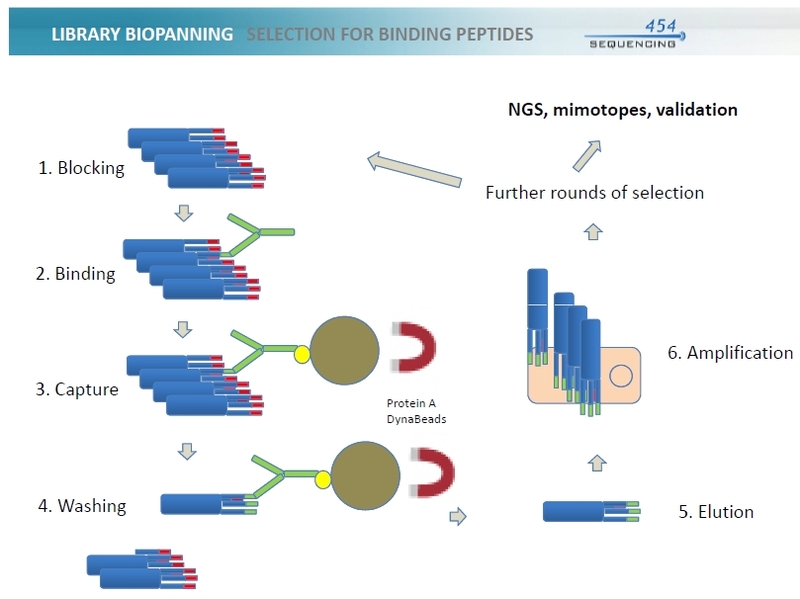 Antibodies specified in the TARGET step are current examples for our successful epitope mapping work. 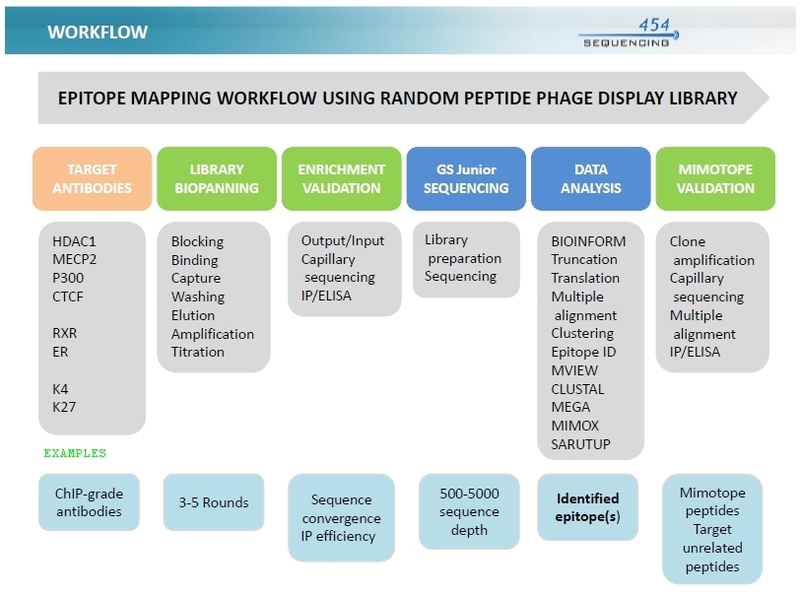 Mostly, antibodies with linear peptide epitopes are good targets for peptide-phage display based epitope mapping, although structural epitopes can also be mimiked, or linear portions of those epitopes can be mapped by this technology. Disclaimer: PROXENCELL Laboratory is part of the University of Debrecen, which is a government funded organisation. We provide our services on a non-profit basis within the university or for other non-profit organisations. UD-GenoMed Medical Genomic Technologies Ltd is a company which is entitled to provide related for-profit services to pharmaceutical and biotechnology and other companies.